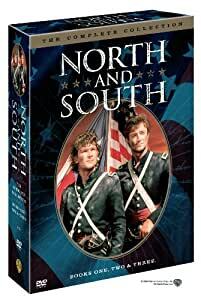 Amazon's Choice for "north and south dvd"
This Emmy Award-winning powerful adaptation of John Jakes' best-seller tells the story of the turbulent events and emotions that ignited the Civil War. 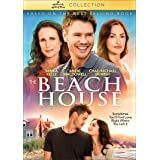 In the tradition of Gone With The Wind, this glorious epic focuses on the lives of two families who are geographically and ideologically placed on opposite sides of the war - The North and The South. The saga follows the families through their changing fortunes at home and the harsh realities of the battlefields until the South surrenders and the families are reunited in friendship. In the final installment, the story of the two families continues through Post-Civil War Reconstruction into pioneer Indian territories. 5.0 out of 5 starsMISSING EPISODES FOUND!!! into episodes and pick Part 2. I never would have thought to do that. It worked and there were all the missing episodes!!! I am SOOO grateful to that person and I agree that it would have been nice if that bit of instruction was included with the DVDs. I think that after viewing Park 1, if you simply allow the DVD to continue on through the credits, the Part 2 starts up. Of course, I love the miniseries as much as I did years ago when it first aired on TV and the several times I watched it on my VCR tapes after that. I belong to a Civil War Study Group and find that I know a few facts featured in the movie from that. Well done. This is a good movie but they should explain how to watch it. It comes with 5 discs I think. After the credits rolled up we took out the disc and put in the next one. We watched the movie with a lot of wondering what happened. It was then we learned after the credits roll don't take the disc out there is more coming, also turn the disc on the other side there is more. After we watched like we were suppose to it was an excellent movie. We did get some laughs because we didn't watch it right the first time. So I hope this helps someone else or were we the only dummies. North and South is truly one of the great miniseries, and in fact in my opinion surpasses other great Civil War films such as "Gone With the Wind." Based on the John Jakes trilogy of novels, this miniseries spans the period from the 1840s and the Mexican War, through the aftermath of the American Civil War. It tells the story of two families, the Hazards of Pennsylvania, and the Mains of South Carolina. The Hazards are the owners of a great steel manufactory. The Mains are the powerful owners of a sprawling Southern rice plantation. George Hazard and Orry Main, the scions of their respective families, form a friendship while attending West Point that sees them through the Mexican War and which is tested as each takes his region's side in the Civil War. The miniseries is reasonably faithful to the novels, and where it departs, the changes are generally benign. The story is also quite faithful to history, and both North and South are portrayed with respect, although the story harshly indicts the institution of slavery, and reminds Americans of the incredible fact that this evil was a basic fact of our country for a very long time. Book one of North and South is superb. It spans the period from about 1840 through the outbreak of the Civil War. The portrayal of the Mexican War is quite good, and the story of George and Orry graduating West Point and fighting together in the Mexican War makes for a fine story. 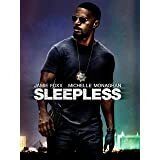 The film does very well at recreating the attitudes of Northerners and Southerners during this period--conflicting attitudes which ultimately could not be reconciled by the normal political institutions of the American republic and which instead culminated in the Civil War. The battle scenes are very good and surpass what we normally expect of a miniseries. Book Two ("Love and War") takes place immediately following the firing upon Ft. Sumter. It is again very well done. This is one of the very best straight Civil War films. It is not without flaws. Just as in the novel, the Elkanah Bent sub-plot adds very little to this story. This is true despite the fact that the Bent sub-plot in the Book Two film bears essentially no resembence to the novel. But overall, this is a fine story. Lloyd Bridges in particular does a fine job in his portrayal of Jefferson Davis. Hal Holbrook is a wonderful Abraham Lincoln. Here again the battle scenes are very good. My only quibble is that the soldiers' uniforms are too natty and pristine. Real Civil War soldiers were never very well turned out. The combat and conditions were too tough for that, and the supply trains too inefficient. Book Three ("Heaven and Hell") takes place after the end of the Civil War, and is so bad as to be unwatchable. Not only is Book Three unwatchable, but it totally departs from the story as set forth in the novel. (as far as I could tell-I mean it when I say that Three is unwatchable). Book Three of Jakes' novels was far and away the weakest of the three, but it was somewhat readable. Not in the miniseries, however. North and South is imperfect, but it is still so good as to rate five stars. It really is a great story of the Civil War era. James Read and Patrick Swayze turn in great performances as George and Orry. Read was sufficiently good in this part that I am surprised that this role did not lead to greater things for him. The flaws. First of all, as in all John Jakes stories, the characters, particularly the villains, are one-dimensional at best. Virgilia Hazard, Elkanah Bent, Ashton Main--these characters are complete villains and in real life no one in their right mind would want to live on the same continent with such scoundrels. I have always thought that this caricature-like characterization is the weakest aspect of John Jakes' writing, and these flaws, unfortunately, are faithfully recreated in this miniseries. Overall this is a tremendous value that many fans of North and South have waited for for a long time. It is terrific that this is now available on Amazon Instant Video. RJB. Great series, but DVDs are crap. Only one episode plays on each one, which means I can only watch half the series. Menu navigation doesn't work, or does skipping over episodes/scenes to try and trigger the second on each disc. Wish I had opened this and played it as soon as I received it so I could return it now. Instead I'm left to pay $30 for the digital version on Amazon Prime Video if I want to watch it. I have bought this series quite a few times over the years to give away as gifts. It is my favorite Civil War flick. It starts before the Civil War, following two cadets who went to West Point -- one from the North & one from the South, they become very good friends. After the war begins, both have graduated and are ins armies of the North and South. They both rise in ranks and become generals in their army. Their friendship continues and when the Confederate is a prisoner the Yankee breaks him out. There is a lot of action, corruption, and romance. 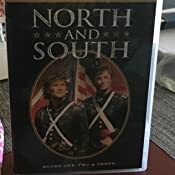 I read all the reviews before purchasing this complete collection of north and south and I am very happy to say It Was fantastic watching this miniseries again ! discs 1-6 are North And South The last 2 disc 7-8 are Heaven And Hell I enjoyed watching this again and even had my husband watch with me! I had no problems with any of the Disc! Got this for my brother-in-law as he had never heard of it. He said he liked it better than Centennial, and North and South. Apparently they have updated the discs since people said there were only 5 (this has 8), some said there were episodes on the "B" side (there aren't), even though the disc will tell you to flip it over. I was told there are 2 episodes on each disc.